1. The subject for the BCL Braemar Calendar 2020 is “Wildlife, People and Places in Braemar”. The theme is open to individual interpretation. 2. Entries must be taken within the parish of Braemar and Crathie. 3. Entrants can submit up to twelve photos as electronic images. 4. Images may be digitally enhanced to remove spots or scratches, but not manipulated. Entrants can enhance the picture to make it brighter, clearer etc, but not manipulate the content. The judges reserve the right to exclude any image they believe may have been excessively treated so as to alter its authenticity. 5. The competition is open to all. Entrants under the age of 12 years need to have parent or guardian consent to enter. 6. Entrants must not be professional photographers and, for the purposes of this competition, a professional photographer will be considered to be someone who makes more than half their annual income from the sale of their photographs. 7. Each entry should be accompanied with name, address, contact telephone number (both daytime and evening) and where the photo was taken. 8. Entry into the 2019 Calendar Competition closed on Wednesday 28th February 2018. However, if you would like to enter for our 2020 Calendar please submit your photos by Thursday 28th February 2019. 10. The organisers accept no responsibility for entries lost or delayed during electronic transmission. 11. All entries will be judged by a panel of judges. The judges will select a shortlist of twelve photographs (the 'Finalists') which, in their opinion, best illustrate the theme of the competition. They will consider a range of factors including composition, age of entrant, technical ability, originality, interpretation of the brief and the commercial appeal of the photographs. 12. All entries must be the original work of the entrant and must not infringe the rights of any other party. The entrants must be the sole owner of copyright in all photographs entered and must have obtained permission of any people featured in the entries or their parents/guardians if children under 16 are featured. Further, entrants must not have breached any laws when taking their photographs. 13. Prior to submission, entrants must not have offered any of their entries for sale, been paid for any publication of any of their entries or won or been a runner up in any other photographic competition with any of their entries. 14. Entrants will retain copyright in the photographs that they submit to the BCL Braemar Calendar. 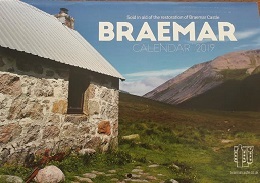 By entering the competition all entrants grant to the BCL Braemar Calendar the right to publish and exhibit their photographs. Entrants whose photographs are one of the Finalists or selected to appear in the Braemar Calendar 2019 grant to BCL the further rights to publish and exhibit their photographs in print, on their respective websites or in any other media. No fees will be payable for any of the above uses. While we make every effort to credit photographers, including in printed reproductions of their work, we cannot guarantee that every broadcast use of the photographs will include photographers' names. 15. By entering, entrants will be deemed to have agreed to be bound by these rules and the judges reserve the right to exclude any entry from the competition at any time and in its absolute discretion if the judges have reason to believe that an entrant has breached these rules.